Conservatives in the room were FIRED UP at the mention of this and Pence told them that the Affordable Care Act would soon be repealed and replaced, adding… NO MATTER the raucous town halls nationwide that have been packed with supporters of the healthcare law…their plan is going to happen. This man, took the stage at CPAC a vindicated hero facing a crowd that knew him well, he has spoken at CPAC 9 times in total and this was the first time he spoke as the Vice President of the United States. “My friends, this is our time,” he said to rousing applause. The comments were red meat to conservatives but varied only slightly from Pence’s usual stump speech. 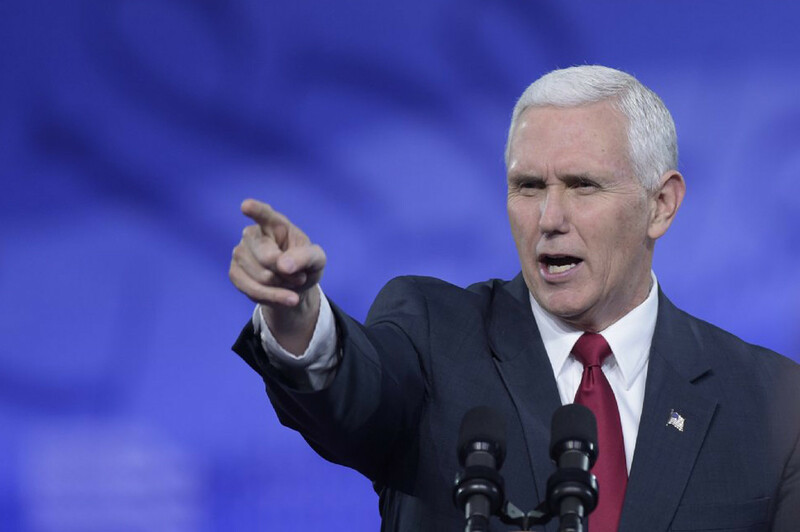 Pence echoed campaign trail promises from then-candidate Donald Trump that the replacement to Obamacare would allow Americans to buy healthcare over state lines. Congressional Republicans released a broad outline of a new health care plan last week, but it was thin on details. The vice president also spoke passionately about Israel, promising that “under President Trump, America will stand with Israel.” He did not elaborate on the Trump administration’s vision for an end to the conflict between Israel and the Palestinians. He mixed a good sense of humor with conservative bluster in his remarks and was sure to use part of his speech to prep the attendees for Trump’s speech at the conference that will be going down Friday morning.